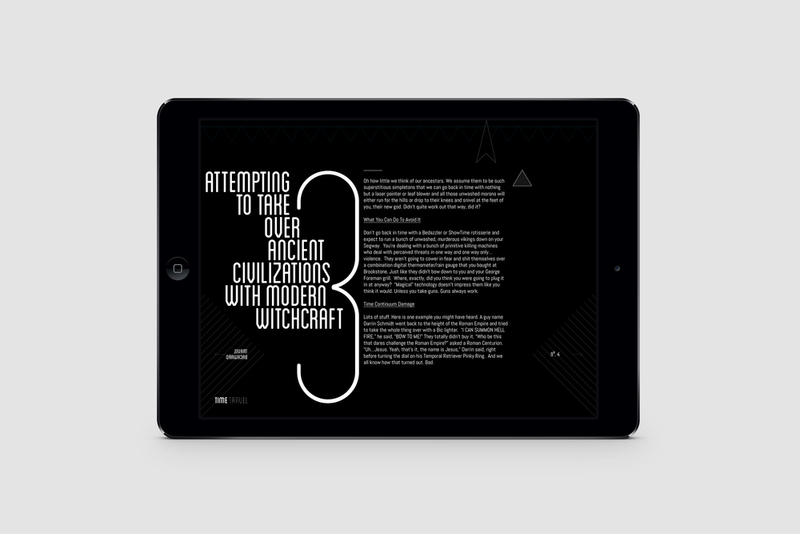 A digital publication designed for the iPad, focused around the time travel debate. This humorous and informative app's unique feature was a choice based navigation system, whereby the viewer would determine the path through the app via a series of multiple choice options, depending on if the viewer is a believer or non-believer [in time travel]. The non-believer path explains facts and theories in attempt to convince the user into believing. Oppositely, the believer route shows some existing believers' theories, quotes from popular time travel culture and typographic plays on key phrases around time travel. Each step allows a path change should they decide differently. 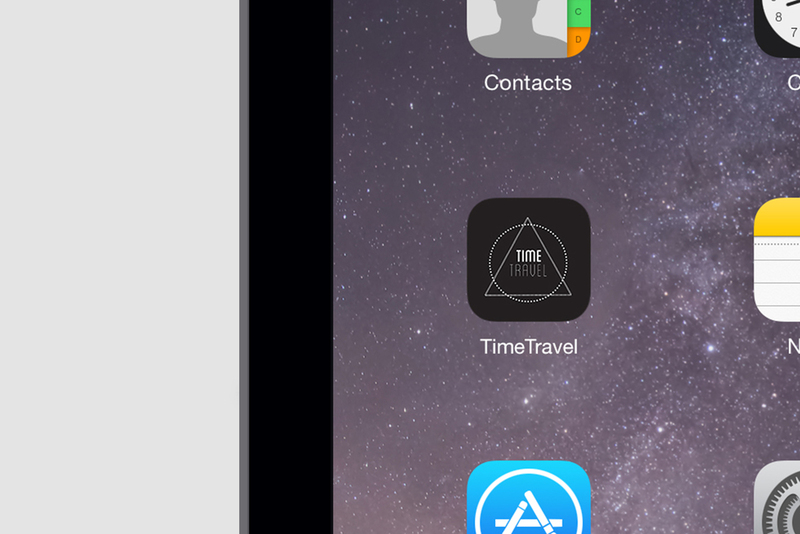 This app is not available on the App Store.